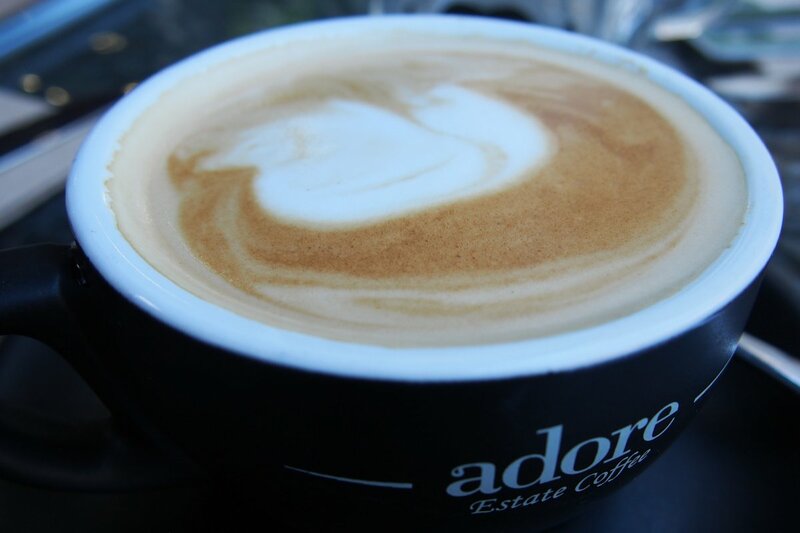 Gourmandise de Paris is one of the handful of cafés bringing life to Harris Street on weekend mornings. It was once a struggle not only to find a spot that was open but that also delivered on good food. The comfortable interior is as inviting as it could get with plush pillows and soft stools. My guests and I found all of the staff to be welcoming and friendly with a sense of humour to boot! Water, a smiling face and coffee was all offered on arrival. I was slightly disappointed with our coffees ($3.50). While they looked great, they were too weak for my liking and the beans did not offer enough flavour. 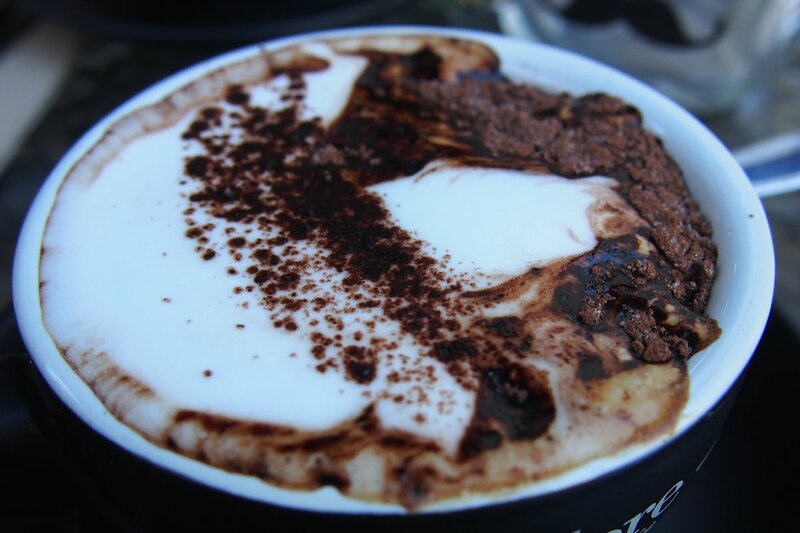 Hot chocolate ($4), black, herbal or organic teas ($4.20) and fresh juices ($7) are also available. There are a few smoothies available and the magic smoothie ($6) hit the mark for me. 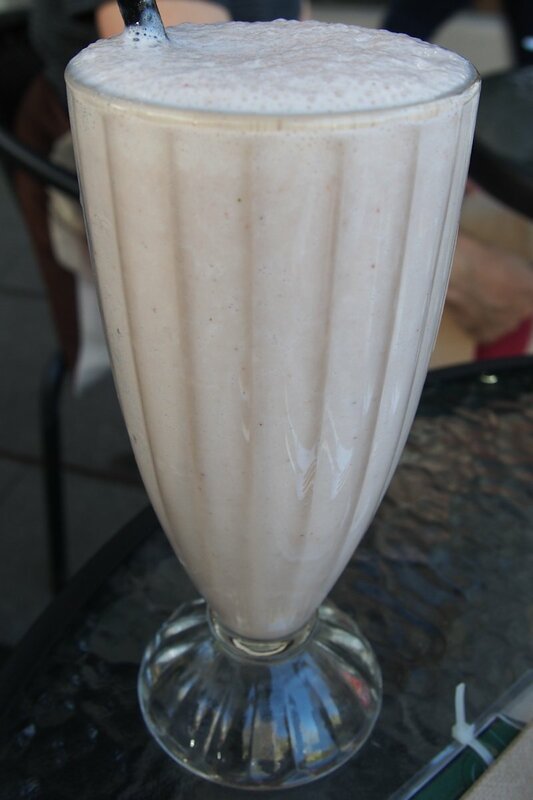 It contains strawberry, banana, milk and honey. Simple but executed well. It’s more liquid than a lot of other smoothies you’ll try but I don’t think that you’ll mind! The other smoothies are green power (baby spinach, kale, apple juice, orange, pineapple and ice) and berry green (mixed berries, baby spinach, banana, milk and chia seeds) for $7 each. The breakfast menu is large. 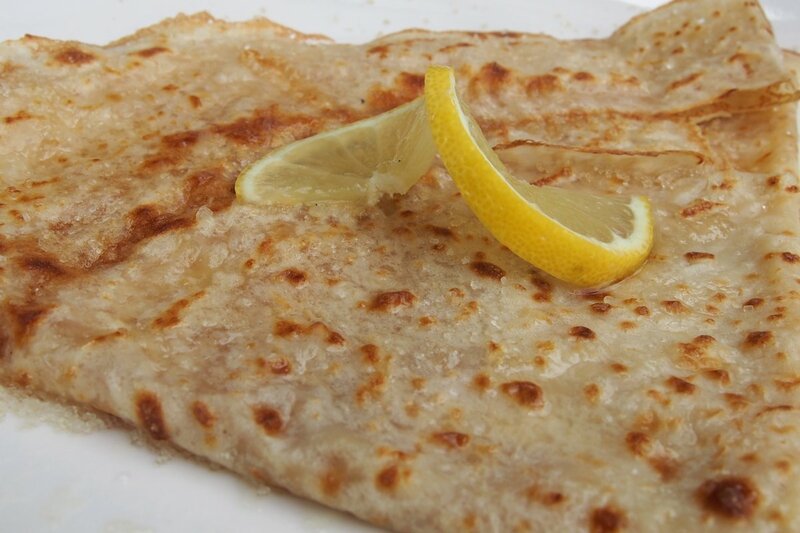 Sweet crepes, savoury crepes, pastries, egg dishes and more. I came for the crepes though so that’s where I’ll start! Each plate that made its way to our table contained crepes that were uniform, elegantly presented, well cooked and (in my opinion, most importantly) absolutely loaded with fillings. I chose the la montagnarde ($20) and it lived up to its name (the mountain). 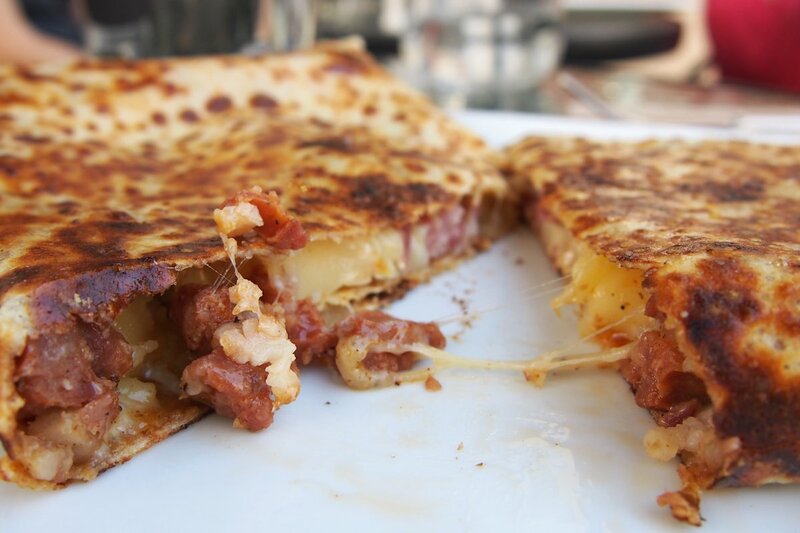 Cutting into the crepe presented a bounty of raclette cheese, tasty cheese, chorizo, bacon, caramelised onion and potato. What an orgasmic savoury combination this was! I’d order it again in a heartbeat and the crepe itself had a crispy yet subtle texture that enveloped it all. 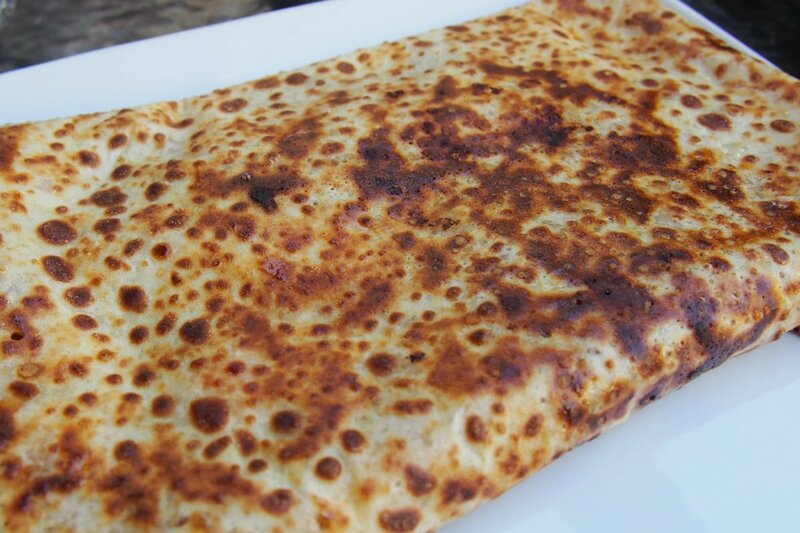 For a guest who didn’t even know whether she wanted a sweet or savoury crepe, GdP had the answer: la chevre chaud ($18). With a combination that I wouldn’t have thought of but that definitely makes sense, both my guest and I were won over. Goats cheese, tasty cheese for stringyness, apple, honey, bacon and walnuts. Those who don’t like to mix savoury and sweet may not enjoy the texture and combination but it worked for me and I can definitely recommend it. 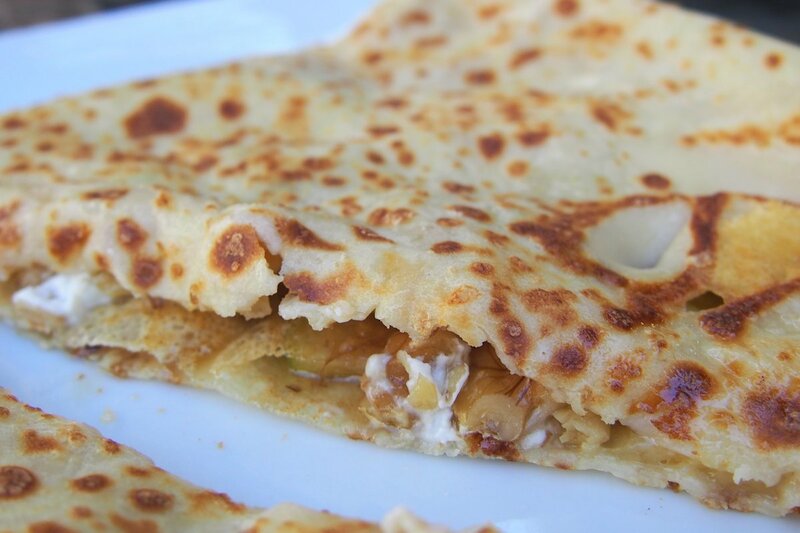 Other savoury crepe options include la tomate (ham, cheese and fresh tomato, $12), la Popeye (cheese, baby spinach, mushroom, $12), la saumon (smoked salmon, baby spinach, sour cream and spring onion, $14), la poulet (chicken, cream, mushroom, onion and cheese, $15) and la St Jacques (scallop, leek, carrot, onion and cream, $19). There is no shortage of options and all of these can be customised with some extra fillings. There are two omelettes available. The omelette vegetarienne ($13) contains cheese, spinach, fresh tomato, mushroom and onion while the omelette Parisienne ($12) which one of my guests ordered comes filled with cheese, mushroom, ham and onion. 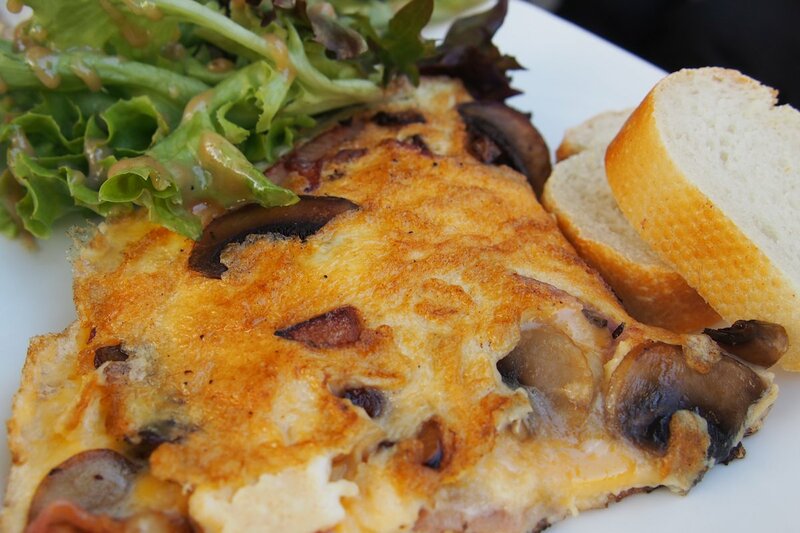 The mushrooms were well seasoned and the gooey cheese and egg blended harmoniously thanks to the spot-on cooking time. GdP was even kind enough to split the omelette onto two plates at our request. Not content with our savoury crepes, almost everyone at the table felt compelled to order from the sweet menu. There are some les classiques crepes such as butter & sugar ($6), honey ($6), lemon & sugar ($7), chocolate ($7) or jam ($7) among others. The les speciales crepes include maple special (maple syrup and raspberries ($9), Nutella special (Nutella, banana and whipped cream, $9), pore chocolat (chocolate, pear and whipped cream, $10), citron special (lemon, sugar, berries and whipped cream, $10) and caramel special (caramel, grilled almonds and ice cream, $10). 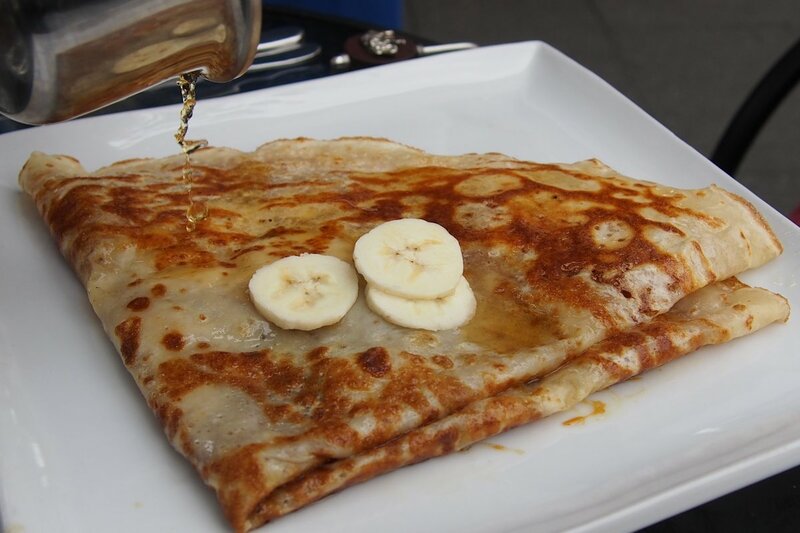 For those who are after some of the most well known crepe combinations, the two ‘on fire’ options are antillaise (butter, raw sugar and banana flambéed with rum, $13) and Suzette (butter, raw sugar and orange zest flambéed with Grand Marnier, $13). Every option that we tried met or surpassed expectations although I have to say that the savoury crepes were a cut above for me. 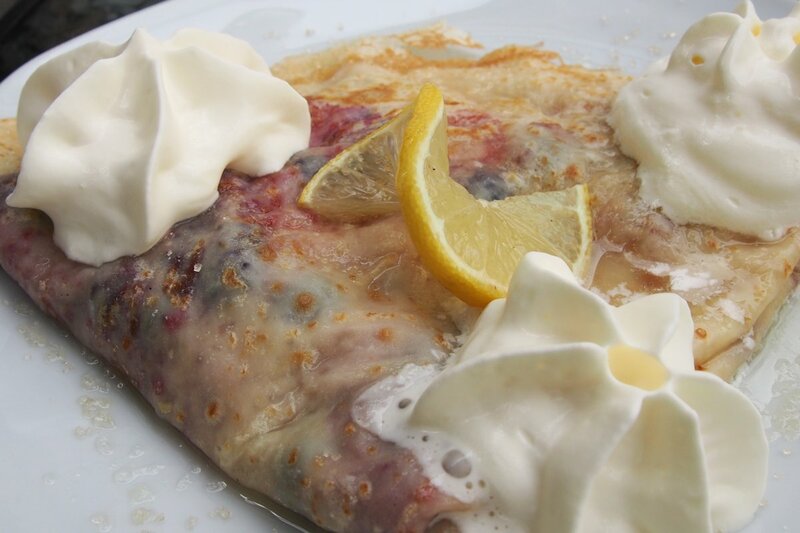 I’ve had the pleasure of dining at numerous creperies in Australia and while there are a few more on my list to review, Gourmandise de Paris has shot to the top of my crepe rankings. While the coffee could be improved, I challenge you to find a better crepe in Sydney. If you do, let me know! 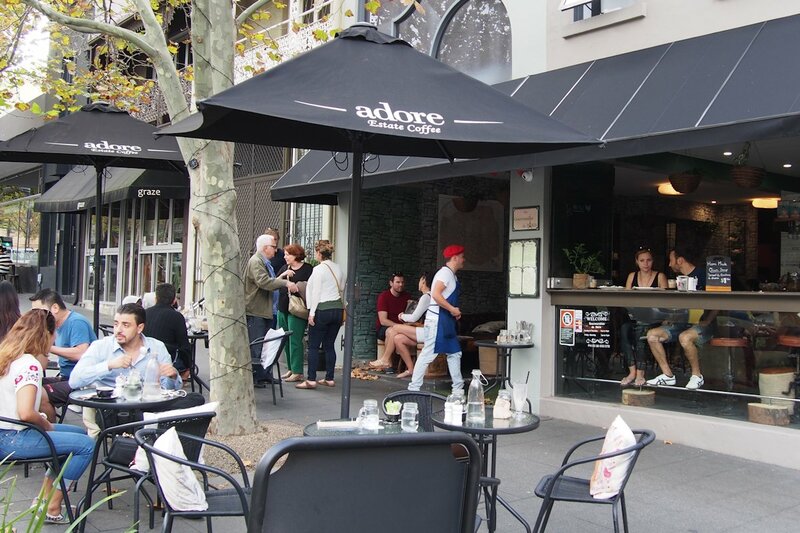 This entry was posted in Sydney - CBD and tagged Disabled access, Dog friendly, Outdoor seating, Parking close by, Reasonable prices. Bookmark the permalink.